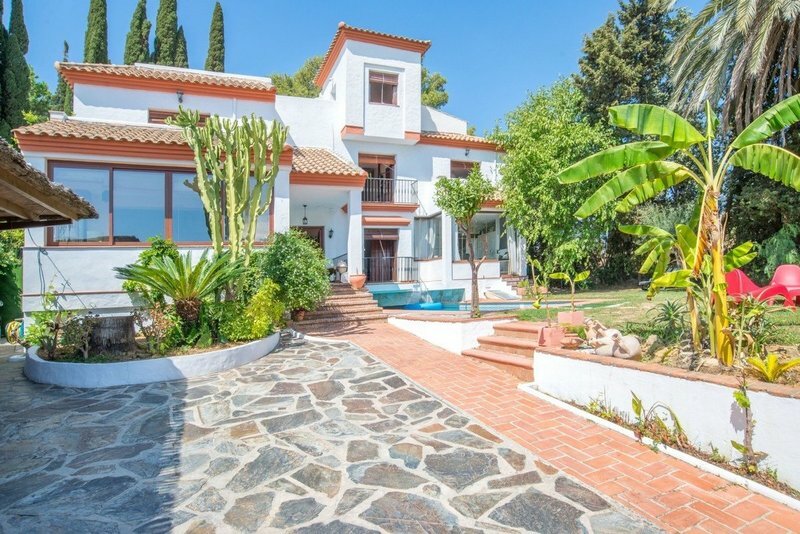 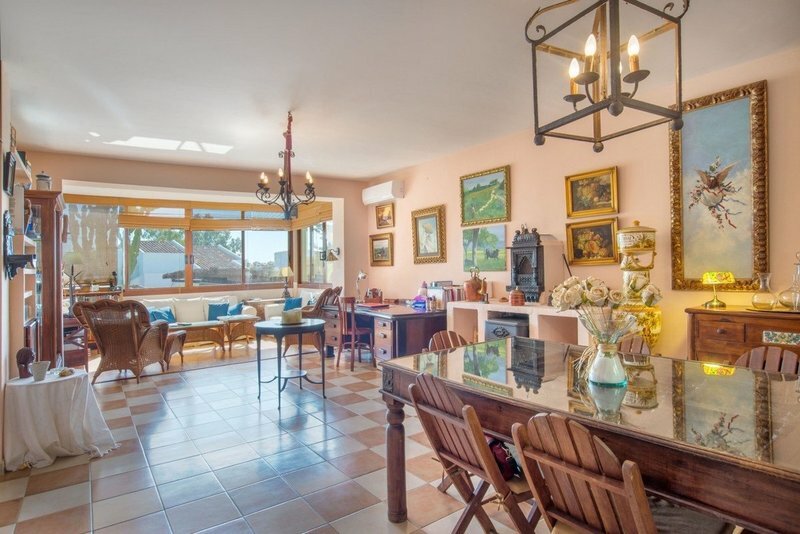 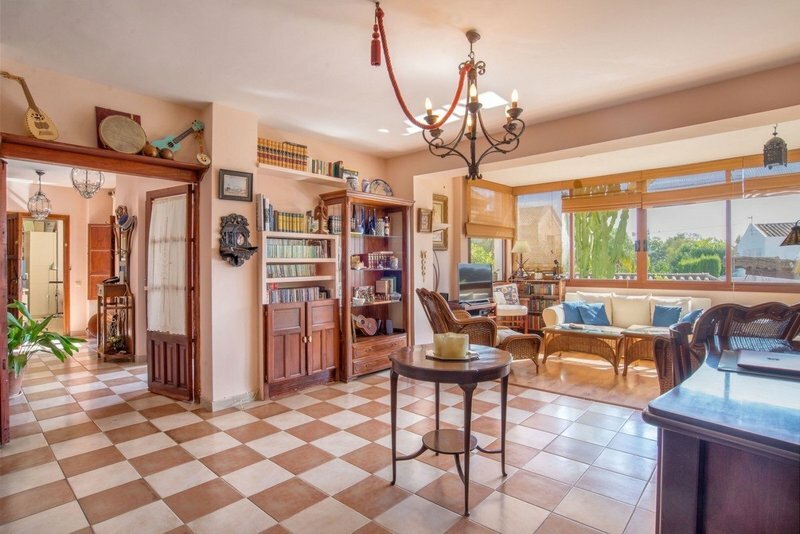 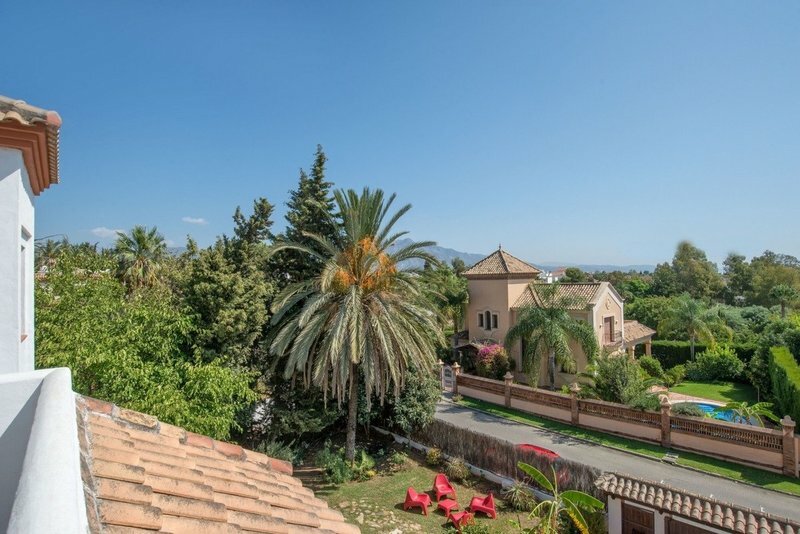 This spacious (over 300 m2) Andalusian style detached villa is located halfway between Marbella and Estepona in the heart of Atalaya Alta. 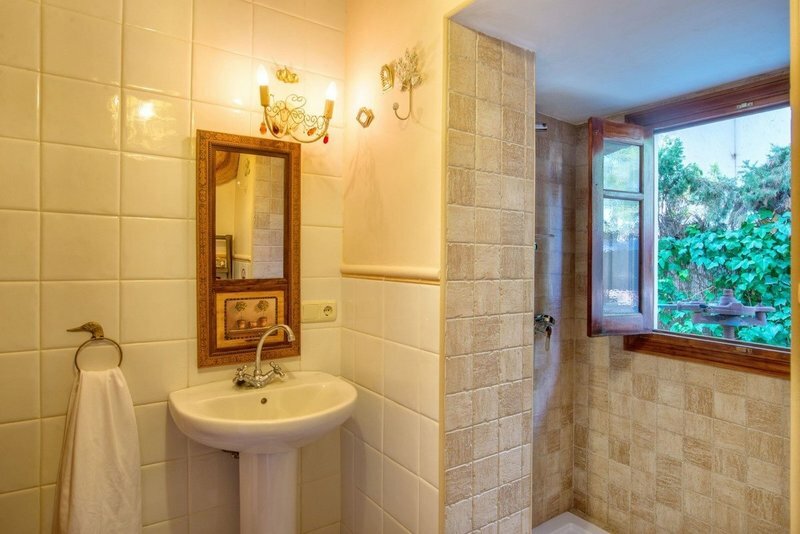 It consists of 4 floors. 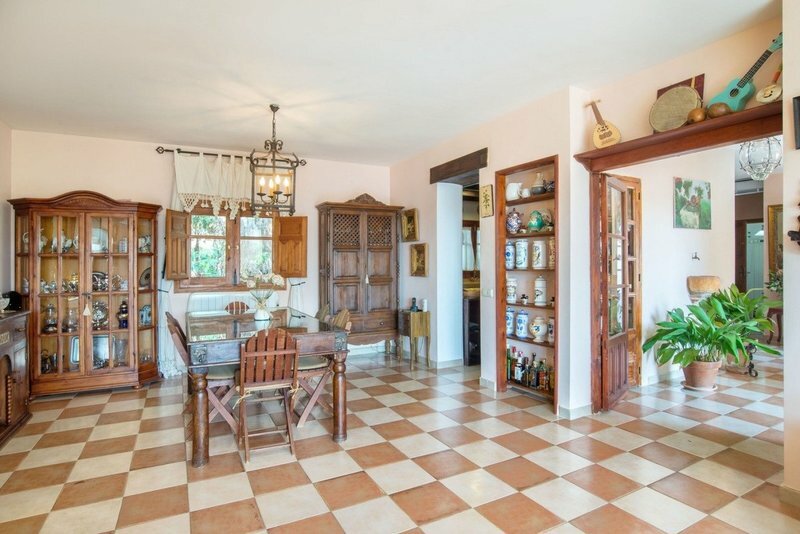 On the main floor you will find a large living/dining area with fireplace, a fully fitted kitchen, a covered terrace with glass curtains (now used as an office), a bedroom and a bathroom. 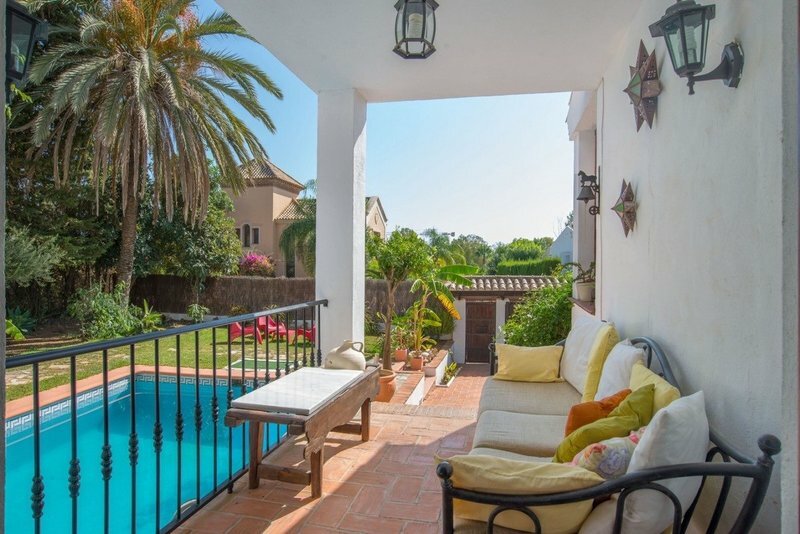 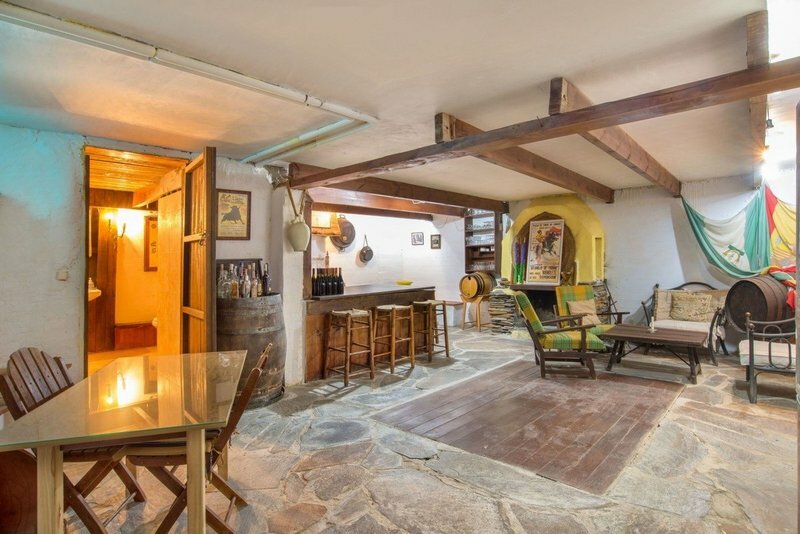 This floor has access to the low-maintenance and entirely walled garden with private swimming pool. 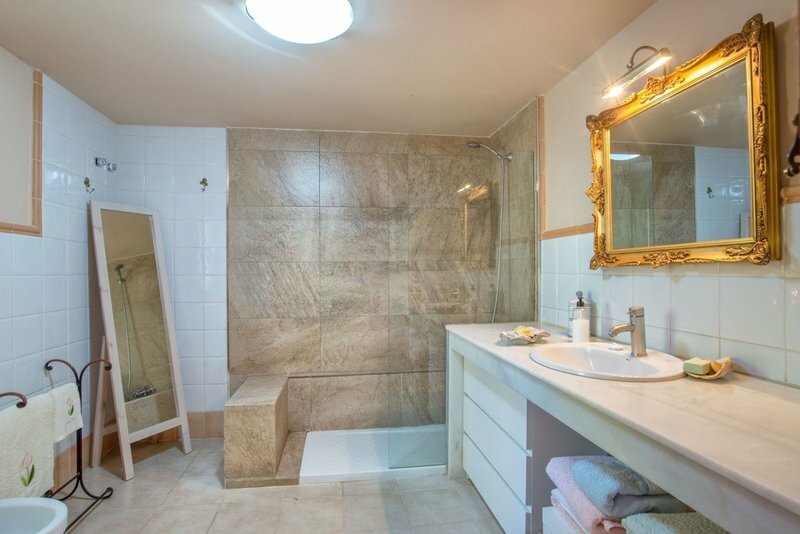 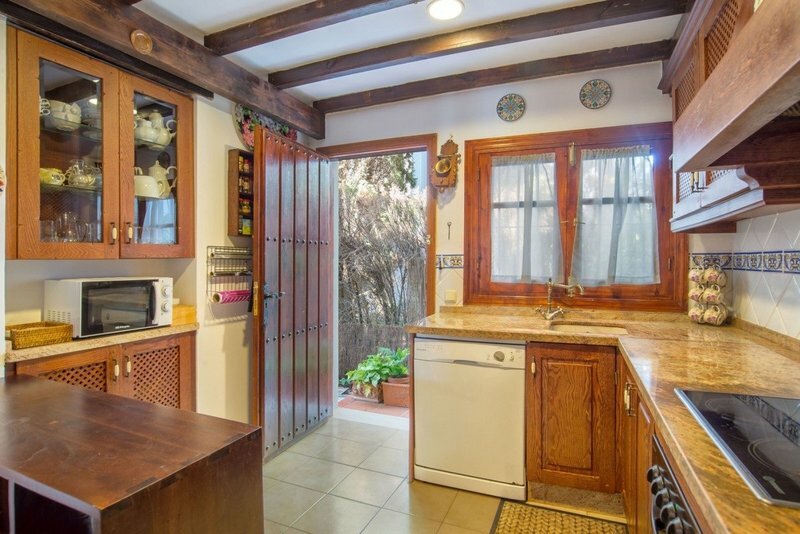 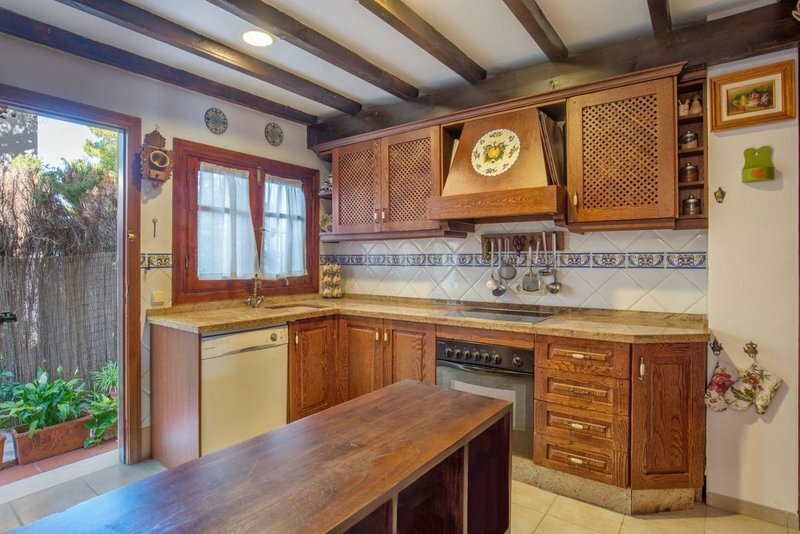 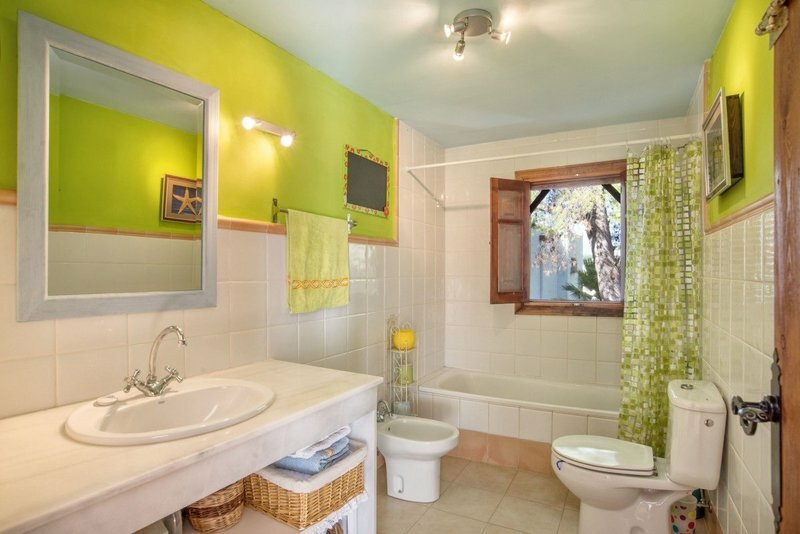 Downstairs offers a bar/bodega, a guest toilet and a shower. 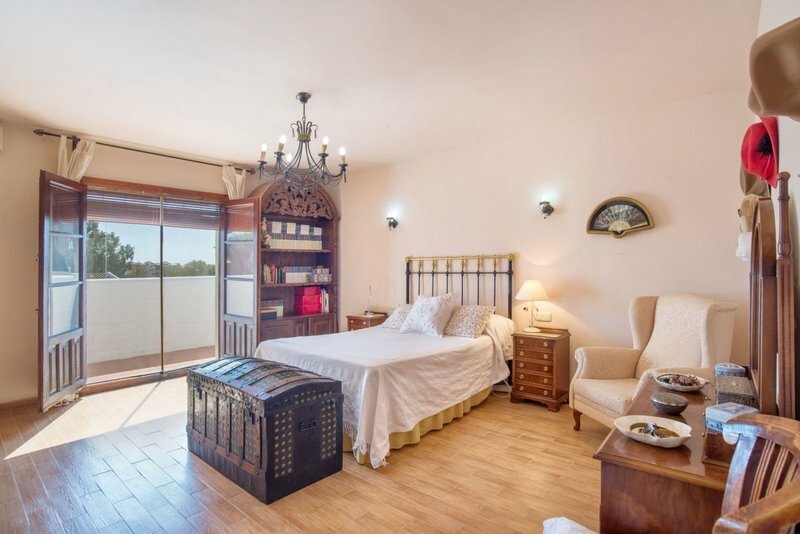 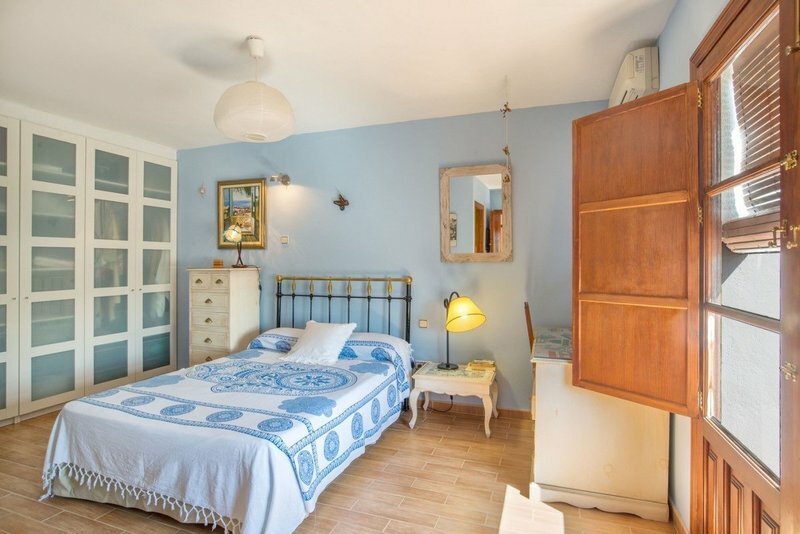 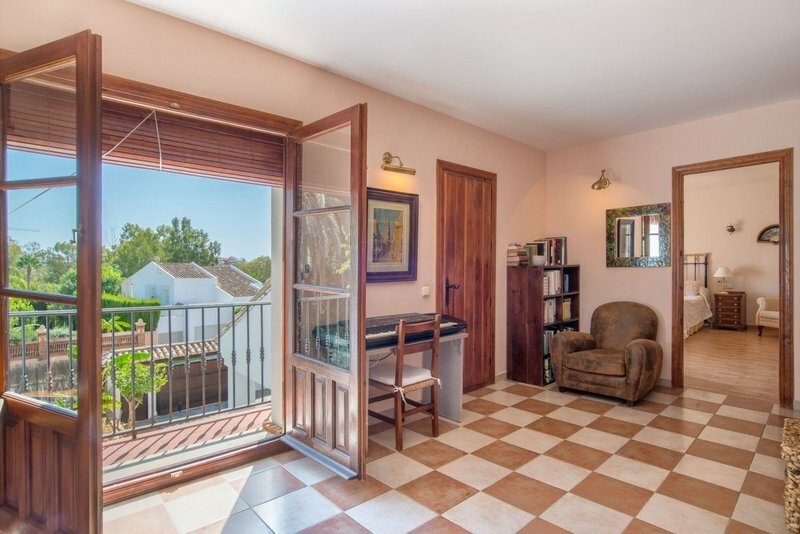 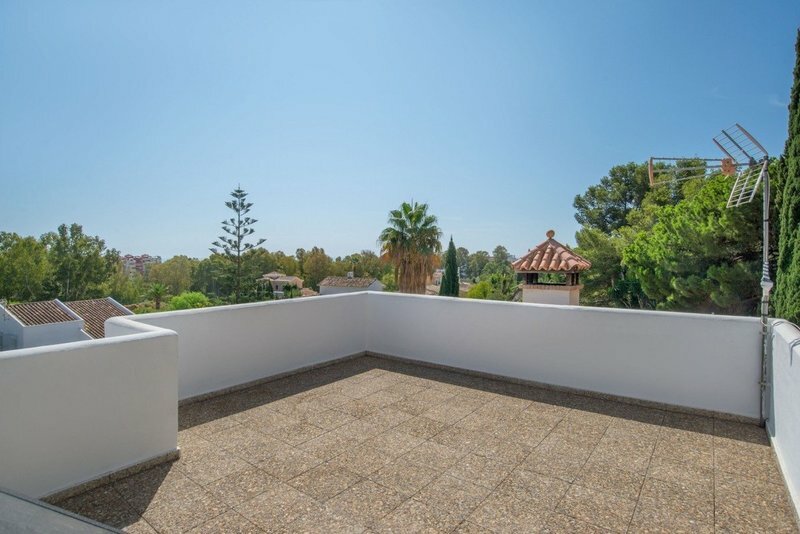 Upstairs you will find 2 bedrooms and 2 bathrooms - and the top floor offers room for storage or an extra bed and has a large roof terrace from which you can see the sea in the distance. 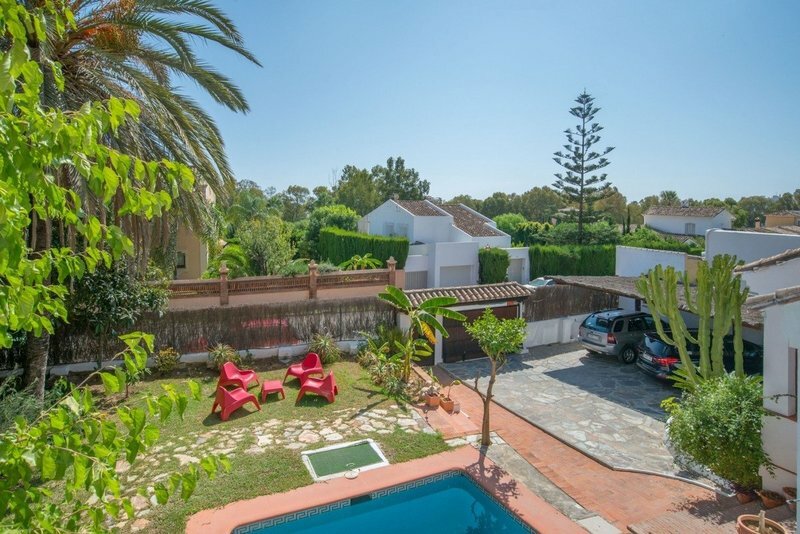 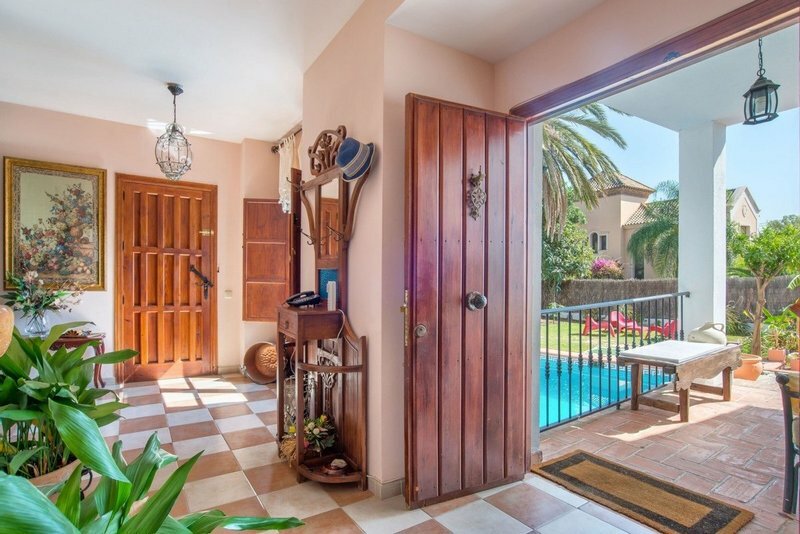 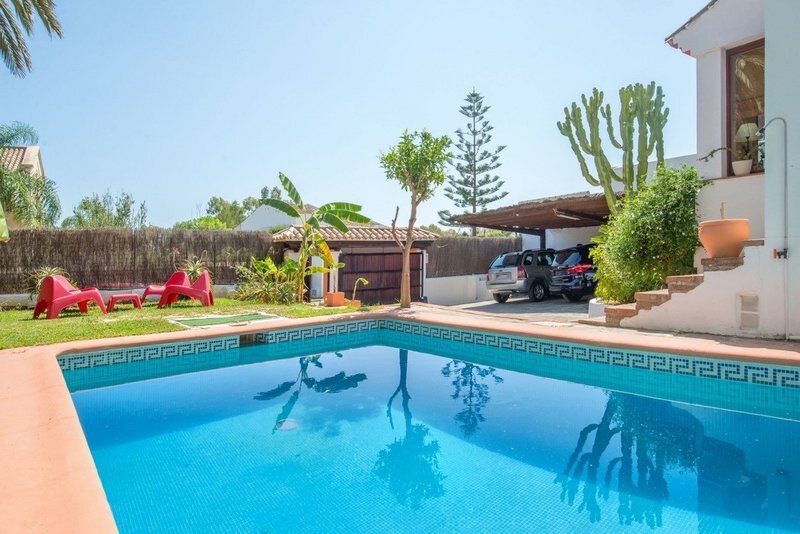 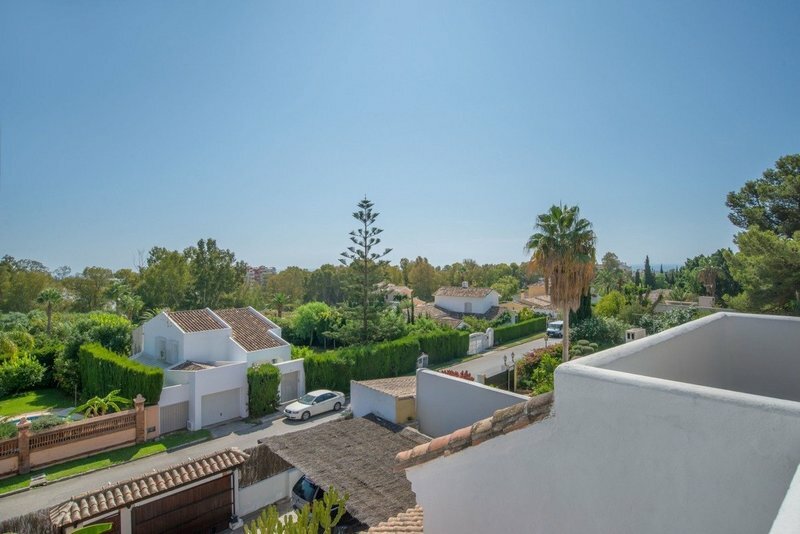 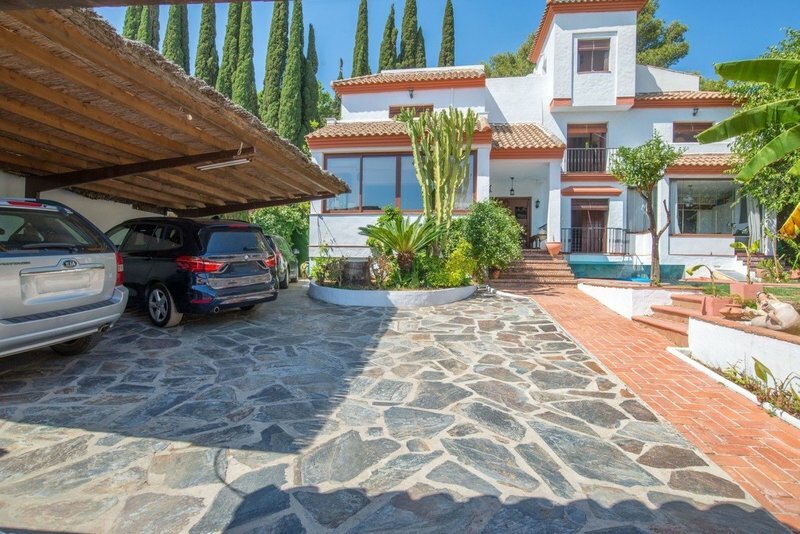 The villa has a carport with parking space for several cars and is situated in a quiet area between the El Paraiso and Atalaya golf courses. 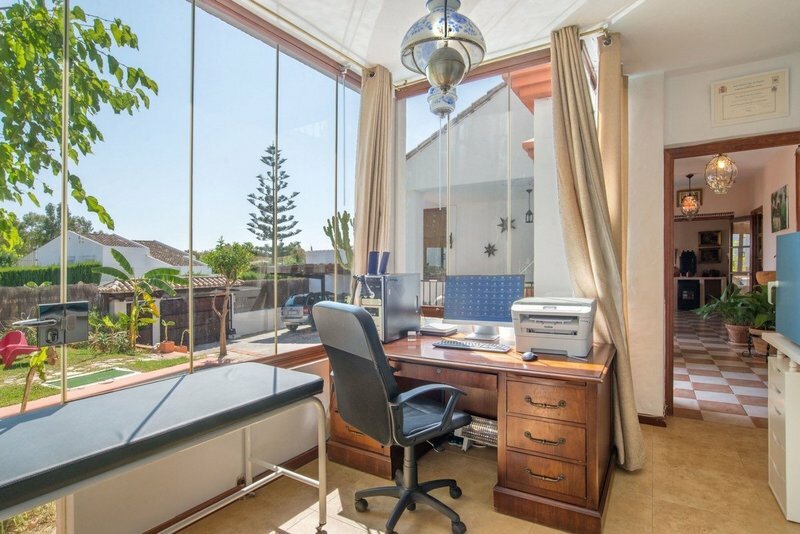 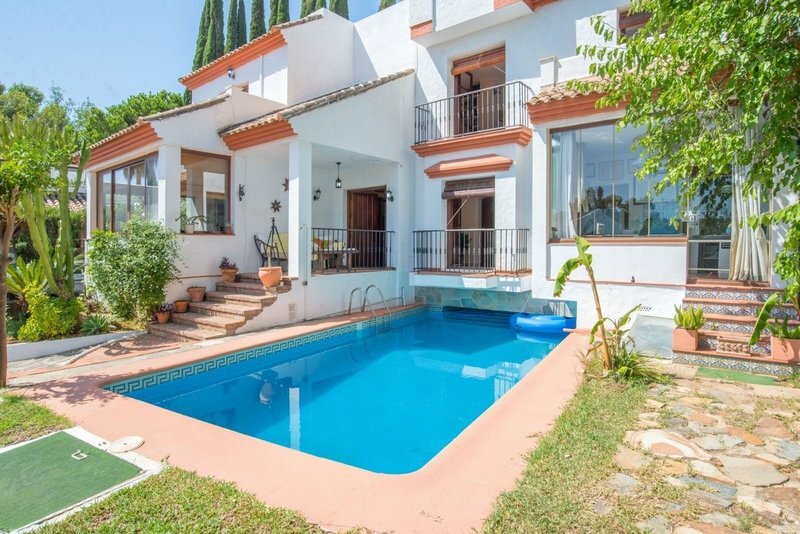 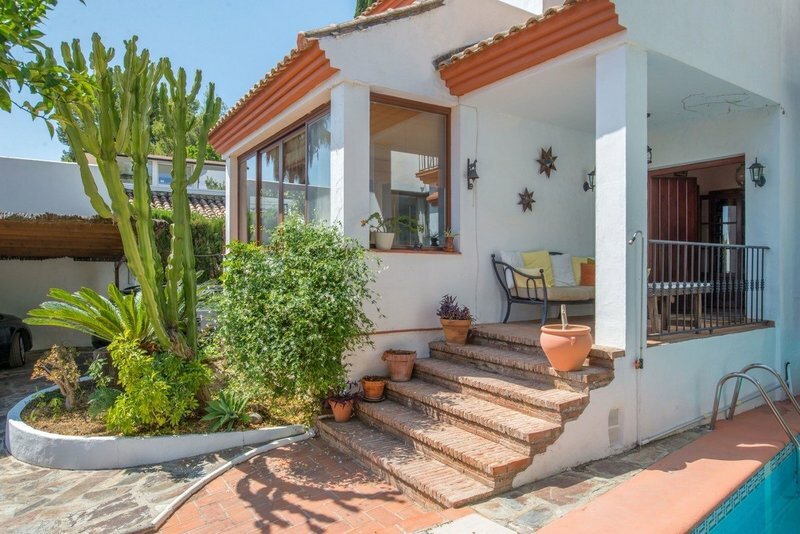 The beach is a 10 minute drive away, the centres of Benahavis, Estepona and Marbella can all be reached within 15 minutes and Malaga International Airport is just a 45 minute drive.